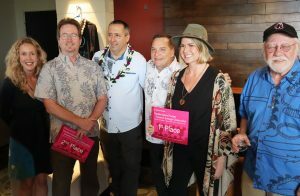 A Hawai‘i Island artist displaced by the 2018 Kīlauea eruption claimed first prize at Kahilu Theatre’s annual art exhibition for a painting inspired by the event. Bailey Ferguson’s painting, DISPLACED: The Day the Red Glow Stopped, was part of the Kahilu Exhibits Annual Juried Exhibition, which is on display from March 14 through April 27, 2019. The artwork’s title refers to the moment when the lava from Fissure 8 began to slow. It is part of a larger body of work created by Ferguson that explores the movement of the lava as it crawled over landscapes, through neighborhoods and spilled over coastlines. 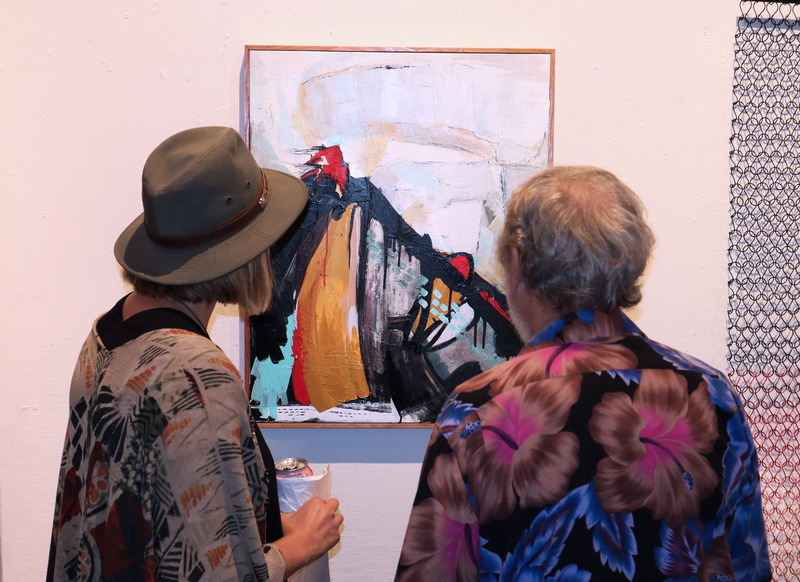 Ferguson’s painting, DISPLACED: The Day the Red Glow Stopped, claimed first place in the Kahilu Exhibits Annual Juried Exhibition, 2019. PC: Kahilu Theatre. Ferguson had unanticipated and positive outcomes as a result of her displacement during the eruption. Having been a traditional oil painter for 12 years, her transient living situations led to other mediums and techniques. 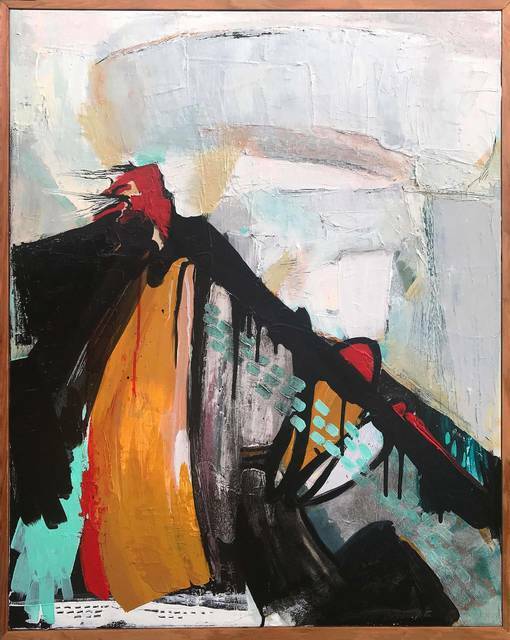 “During the three-month eruption I stayed in eight separate residences, so I utilized tools and mediums that were easily assessable and transportable such as house paint, pencil, watercolor, paint scrapers and rollers. I shifted from impressionistic to abstract expressionism in order to properly convey the emotional and physical impact of the eruption. 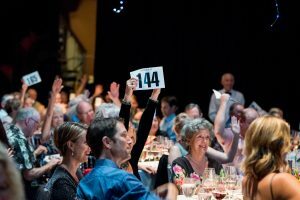 At the time it was what I needed to heal from the trauma I felt from experiencing the eruption,” said Ferguson. 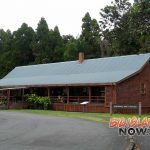 Ferguson’s work is being shown at the Donkey Mill Art Center in Holualoa, House of Fire in Kalapana, Gallery of Great Things in Kamuela and Puna Gallery & Gift Emporium in Pāhoa. 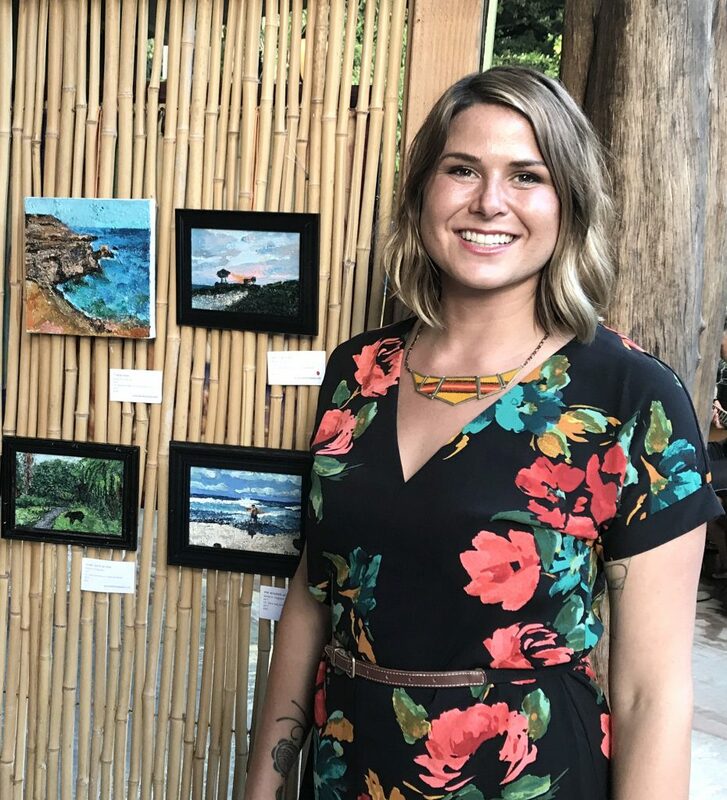 She is currently a finalist for the Hawai’i Volcanoes National Park/National Parks Arts Foundation Artist-in-Residence program, where she hopes to finish the DISPLACED series near the source of her inspiration. The Kahilu Theatre exhibition featuring Ferguson’s work will be on display through April 27, 2019. 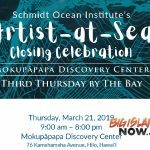 The exhibit features 24 artists from the state of Hawai’i in a variety of media and content. The second and third place winners in the juried art show were Dominic Tidmarsh and Gary Hoff, respectively.